Siding your home adds property value, curb appeal, beauty and energy efficiency. 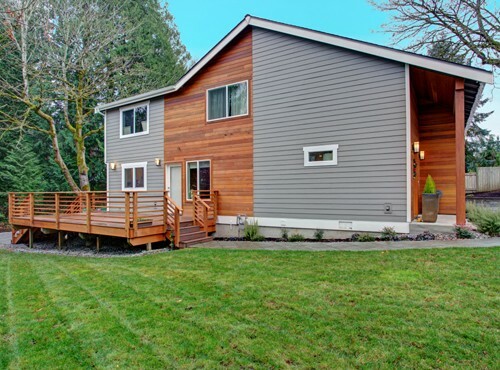 In fact, fiber-cement siding has been shown to have a strong ROI at 83 percent. It may cost more initially, but you can’t put a price on the perception of quality. If you’re looking to beautify your home in Lake Villa, turn to the experts in siding excellence: Buzz Home Pros. We are your preferred remodeler of James Hardie fiber cement building products, backed by top warranties and expert installation. We only use top-of-the-line materials and never use subcontractors. So, the people you hire are the ones who show up for the job. And we don’t ask for anything upfront – you pay us when the job is complete. Buzz Home Pros has the quality siding Lake Villa IL homeowners crave. Buzz Home Pros specializes in installing James Hardie fiber cement siding, cedar siding, and cedar shake siding. Plus, we offer Structure® Home Insulation System by Mastic Home Exteriors as well. 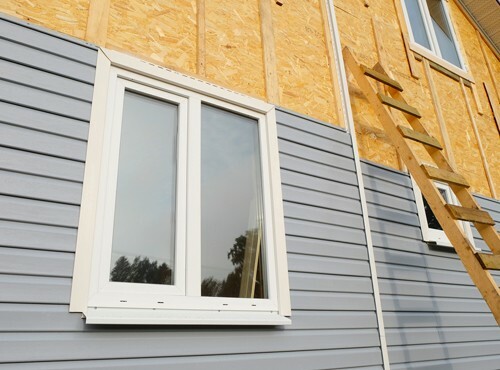 Our siding installation services are quick and efficient yet thorough and comprehensive. We sit down with you beforehand to go over color and style choices, as well as to review the whole process. We’ll even start you off with a free estimate to help you plan. From prep to clean up, we handle everything. You’ll never see us leave a cluttered site. Instead, we make sure it’s clean and free from debris. Buzz Home Pros is your go-to source for friendly, local and experienced service. We only give you quality high-end products to last the test of time. To inquire about siding in Lake Villa IL, call or click for a free estimate to help you plan your project. Contact us at 847-257-1931 or complete our convenient online form.